3 Of The Highest Paying Healthcare Facilities In The U.S.
After dedicating years of study, time, and effort to the healthcare field, it is only natural that graduates would want to find the most lucrative possibilities for career placement. Competition is fierce and the savvy individual will plan ahead when it is time to submit applications, seeking out those locations with the best potential for financial reward and excellent working conditions. Listed below are three of the highest paying healthcare facilities in the U.S.
Johns Hopkins Hospital in Baltimore, Maryland is renowned for its reputation for excellence. Ranked as the number one hospital in the state, it is a teaching hospital with numerous adult and pediatric specialties. It ranks as number one in the country for several specialty areas, including neurology, rheumatology, ear, nose and throat, geriatrics, and psychiatry. Patients turn to Johns Hopkins expecting the best in care, hope in impossible situations, and innovative approaches in the world of medicine. It is only natural that such a top notch facility would offer a first rate salary package for staff members as it seeks out the cream of the crop. The managing director has a salary of over $100,000, while the financial rewards are high for surgeons in specialty areas, pharmacists, and clinical research nursing. 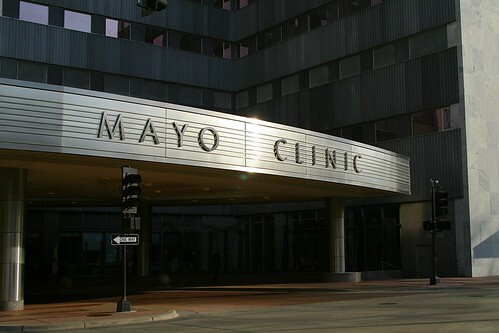 The Mayo Clinic is ranked as the number one hospital of Minnesota. Its reputation precedes it in this comprehensive medical and surgical center. This also is a teaching hospital, a location where healthcare professionals are provided with the best in training and where new options for care are explored on a daily basis. Nearly 4,000 physicians participate in this facility which draws patients from across the nation. The Mayo Clinic ranks as number one in the country in providing care for diabetics and endricronology. Only the best of the best are accepted on staff and the salary offered recognizes the quality of its healthcare professionals.Salaries range from $250,000 for professors teaching on staff to $120,000 and more for physicians. Pharmacists and scientists can expect to be in the $120,000 range as well, while clinical research nurses are in the $100,000 range. Mount Sinai Medical Center is located in the heart of New York City. As another teaching hospital, it has a strong reputation for clinical care, quality research, and educational services. Many milestones have been achieved in this healthcare facility that has been in service for over one hundred and fifty years. Salaries are soaring when it comes to instructors at Mount Sinai. Anyone selected for a teaching position can expect incomes in the range of $300,000 with the physician director of the cardiac valve program having the greatest advantages and the salary of $550,000. Attending physicians are in the range of $200,000. When it comes to pay scale, this is a facility that ranks high on the list. However, the cost of living needs to be considered as well when choosing New York City for a job location. While Denise Phillips doesn’t work in one of the largest or highest paying facilities, she takes great pride in working as the administrator of a nursing home and making certain her residents are well taken care of. Denise has contributed to the online health administration masters for others who are interested in the administration aspect of the healthcare field.